back box (12-26 V DC ) Red. We offer MCP MS Manual Call Point to our valuable clients. Riding on vast volumes of expertise in this arena, we are occupied in offering Manual Call Box. 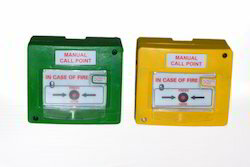 We offer wide range of Morley Manual Call Point. The Context Plus XP95 Manual Call Point is intended for indoor applications and incorporates a short circuit isolator which will ensure its operation in the event of a short circuit fault on the loop. Our patrons can avail from us an extensive range of Manual Call Point. These products are made using finest grade of material and highly developed machines. Our finest grade of material is sourced from authentic vendor of industry. We are providing these products at affordable prices and in various technical specifications. 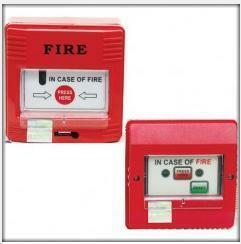 We are foremost organization, actively occupied in providing a wide range of Fire Alarm. The Morley IAS MI-MCP-FLEX Call Point is an addressable break glass that comes complete with a flexible plastic element. This call point is specifically designed for use on Morley IAS analogue addressable fire alarm system loop circuits. Keeping in sync with the latest market norms and policies, we are indulged in providing a high quality range of Manual Call Point. With rich industrial experience and sincerity, we are engage in offering best array of Manual Call Point. These systems are designed for fire detections and available with many features like Blinking LED type facility and Fire / Reset attach switch facility in P.S. type. They are affordable in rates. Cbg-370 Cooper Manual Call Point Rs 2,450/Nos. Mi-mcp-glass Morley Manual Call Point Rs 2,650/Nos.